"IL-2 Sturmovik" – the famous Russian combat aircraft simulator. The game's plot touches on some of the significant battles that occurred during the great Patriotic war. The game "IL-2 Sturmovik" supports both single and multiplayer game modes. Purchase licensed version of the game "IL-2 Sturmovik". This can be done in the nearest shop of computer games or in one of the stores that sells CDs. You can also enjoy this game in online stores. If you wish to spend money on a good Patriotic game, you can download it. Codes to the game you do not need, but in the pocket of the developers you will climb. So decide for yourself what is more important – a certain amount of money or moral principles. 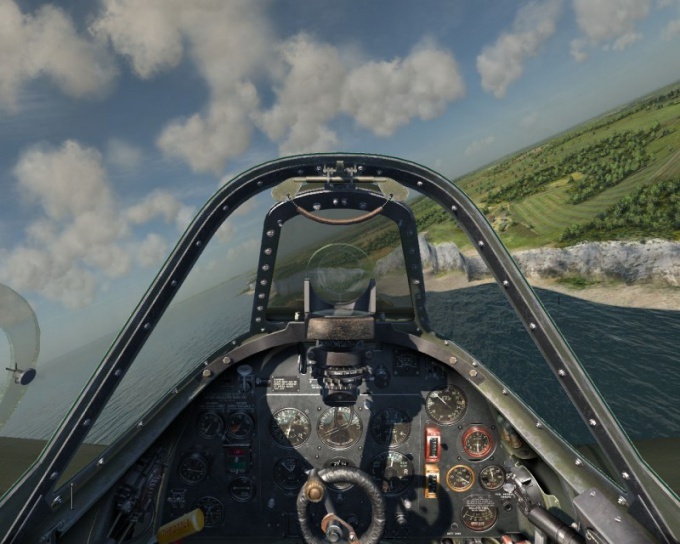 Examine the tactics of air combat by the example of a single game. Don't immediately rush in multiplayer battles, playing with experienced fighters. Good to learn how to play "IL-2 Sturmovik" need to learn at least a few months. Read the advice of seasoned players, check out their tactics. After you learn how to cope with artificial intelligence bots that will develop your methods of play, you can go to network mode. Go directly to the game over the network. Download the game, control menu, select "multiplayer". Select the server to connect to. After you press "multiplayer", select "connect to server". In released window you need to enter the server to which you want to join. For example, il2.perm.EN:or 217.78.176.50 21000:21000. If you want to find a server with simple settings, you can find them using XFire, iL-2 Connect or other similar sites. Download the map and read the rules of the game. Yes, you've been practicing on single player versions of the game "IL-2 Sturmovik", but you never know did not realize some nuances. So reading the extra rules for you will not. Select any airport. There are only 2 core – red and blue. The rest are used for duels. Next, choose the plane where you want to fly and select other necessary options, such as which side you will fight. Click "Apply", then "Departure" and after the download enjoy the game.